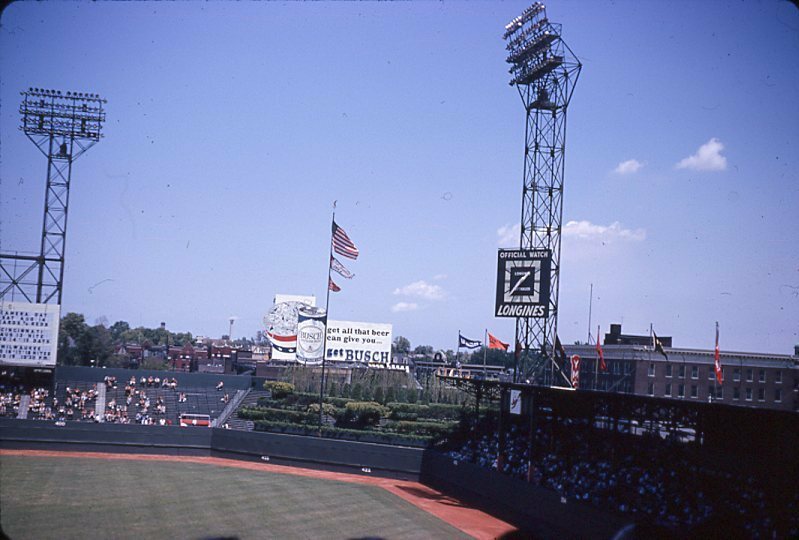 When sports fans think of cities with two professional teams of the same sport they may think of cities such as Chicago, Los Angeles and New York. 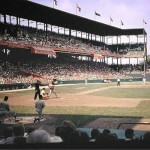 However, for over a half-century the City of St. Louis was home to two professional baseball franchises, the St. Louis Browns and Cardinals, where they shared Sportsman’s Park for 33 seasons. 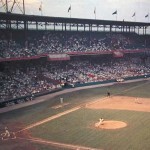 The history of organized baseball at the site of Sportsman’s Park dates to the 1860s when August Solari purchased a plot of land in North St. Louis along Dodier Street and North Grand Avenue in 1866. 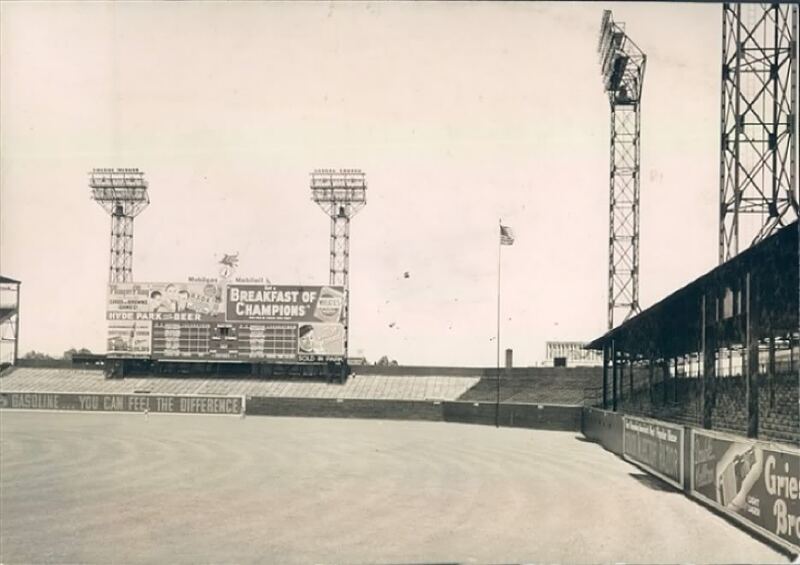 This ball field, Grand Avenue Ball Grounds, became home to the St. Louis Brown Stockings in the mid 1870s and the first wooden grandstand was constructed along the Southeast corner of Grand Avenue Grounds in 1881, that was known as Sportsman’s Park. 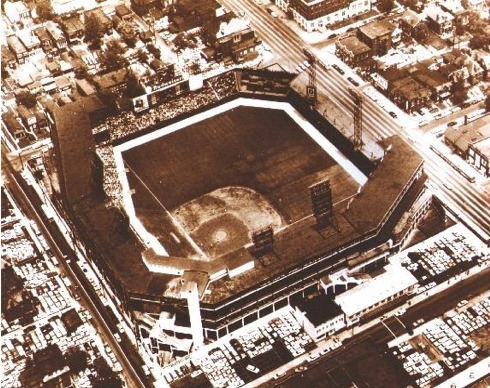 In 1892, the Browns became members of the National League and moved to a new ballpark several blocks Northwest. 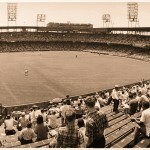 The St. Louis Browns opened their new ballpark, New Sportsman’s Park on April 27, 1893 against the Louisville Colonels. 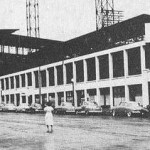 This ballpark, consisting of a wooden grandstand was the home to the team for 23 years. 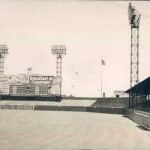 Constructed primarily of wood, it was a firetrap, as fire struck the ballpark in April 1898 and May 1901. 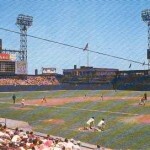 The ballpark was rebuilt both times and before the 1899 the ballpark was renamed League Park and the Browns were renamed the Perfectos. 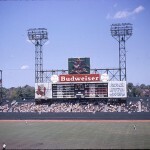 Not only did the name of the ballpark and team change, but the team colors changed, to Cardinal Red. 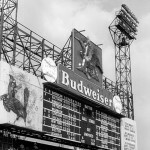 Thus the birth of the St. Louis Cardinals franchise name in 1900. 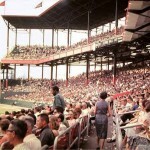 Throughout the club’s 23 seasons at the ballpark the seating capacity ranged from 14,500 to 21,000. 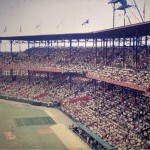 A covered wooden grandstand was behind homeplate and down both the first and third base lines, and bleachers were located in the outfield. 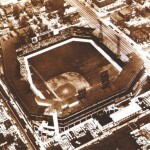 League Park was renamed Robison Field in 1911 in honor of Frank Robison, former owner of the team. 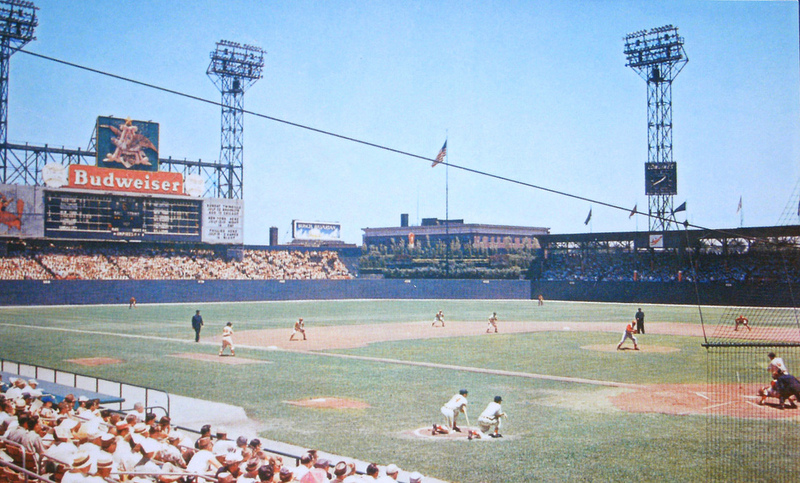 With new steel and concrete ballparks being built in baseball during the time, the ballpark which became known as Cardinal Field, became obsolete. 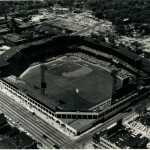 The Cardinals played their last game here on June 6, 1920 against the Chicago Cubs. 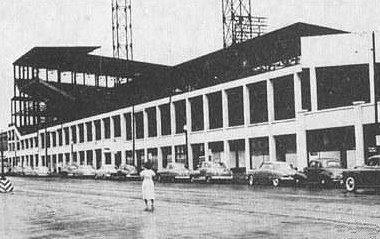 The property was sold and Beaumont High School was built. 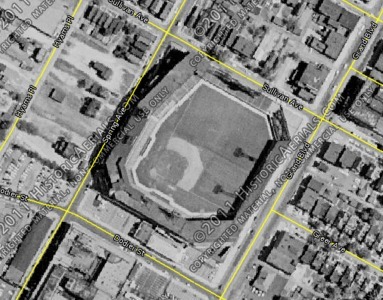 Rewind 18 years back to 1902 and several blocks from Robison Field to the original Sportsman’s Park at Dodier Street and Grand Avenue. 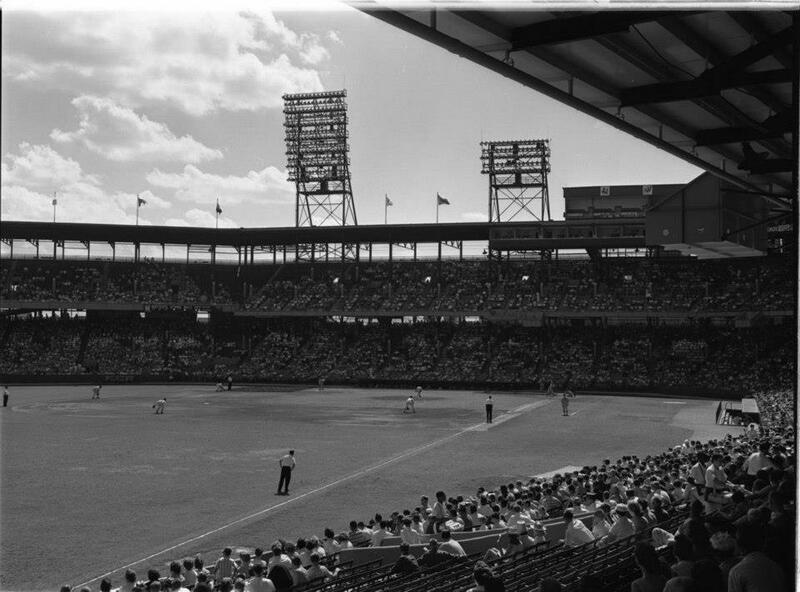 After the 1901 season the St. Louis Browns were formed when the Milwaukee Brewers, charter members of the American League, moved to St. Louis. 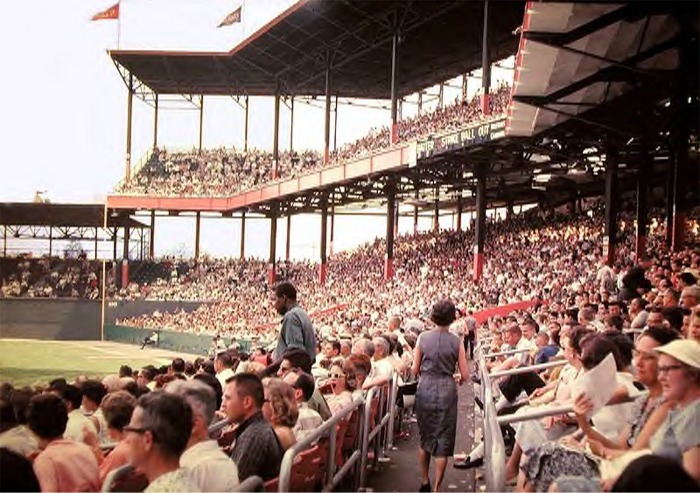 An 8,000 seat wooden ballpark was built and named after its predecessor, Sportsman’s Park. 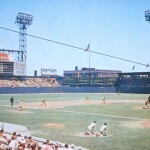 By the end of this decade new steel and concrete ballparks were being built in Cincinnati, Philadelphia and Pittsburgh leading to the construction of a new modern era ballpark in St. Louis. 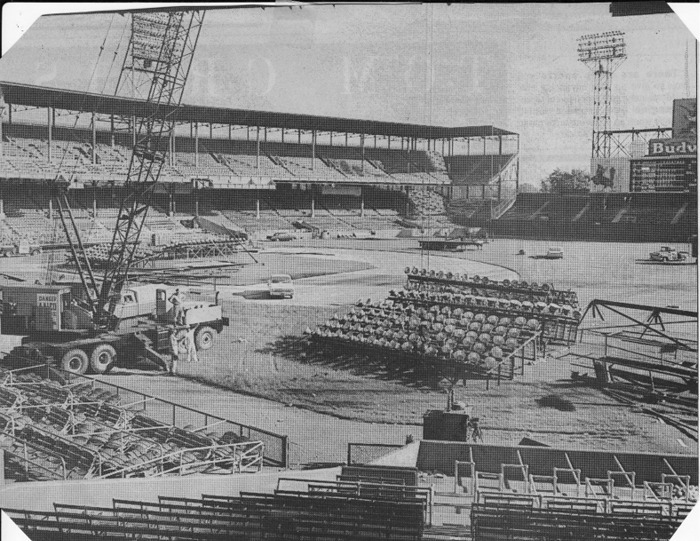 Concrete and steel was used to build a double deck grandstand from first to third base with additional seating joining the lower level and extending down the lines. 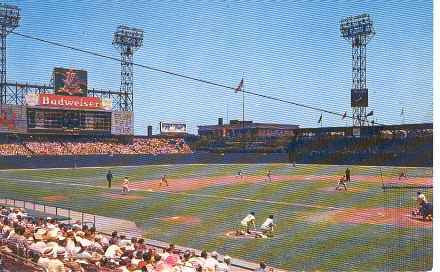 The location of the playing field was shifted with homeplate moving to the southwest corner leaving the original wooden grandstand in left field. 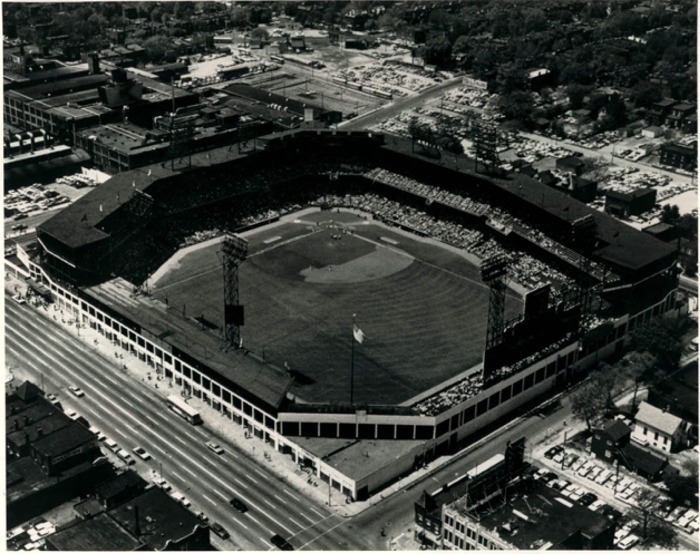 On April 14, 1909 the Browns played their first game at the new Sportsman’s Park against Cleveland. 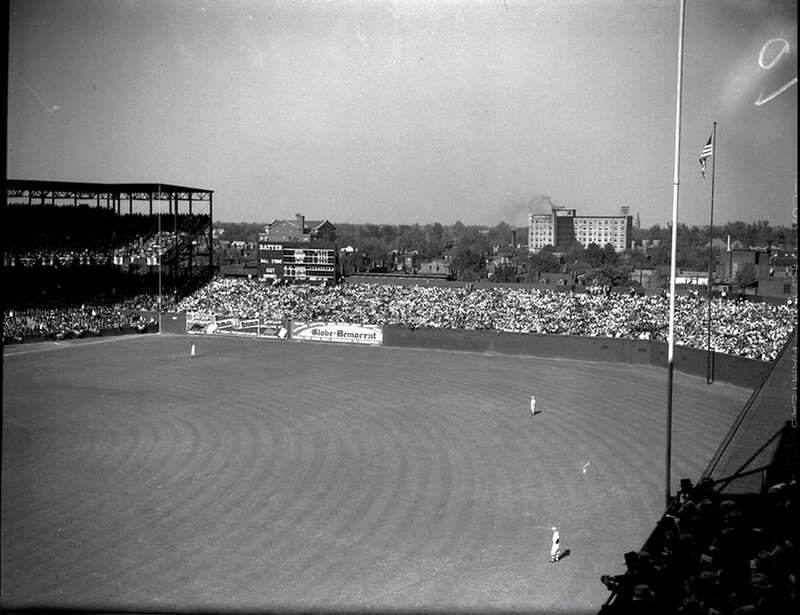 Original capacity was approximately 18,000. 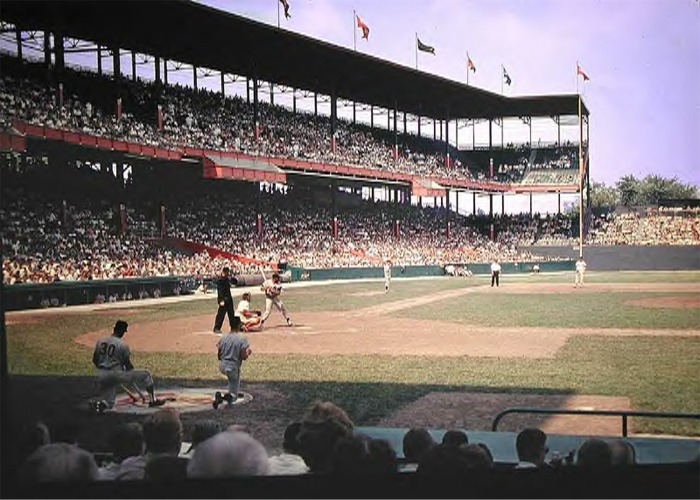 The St. Louis Cardinals moved from Robison Field to Sportsman’s Park, becoming tenants of the Browns in 1920, playing their first game on July 1, 1920. 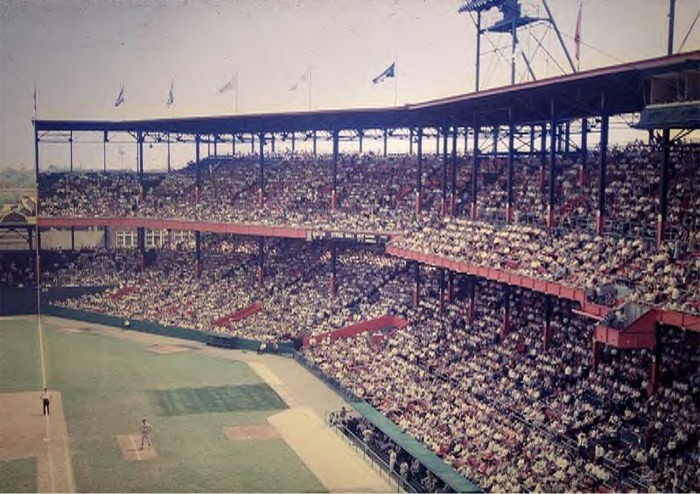 In 1925 the grandstands were double decked to both foul poles and the bleachers in right field were covered, increasing the capacity to 30,500. 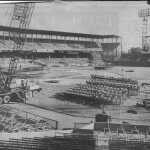 Fans sitting behind homeplate could see the bleachers that extended around the outfield, a huge scoreboard above the left field seats and views of the surrounding neighborhood. 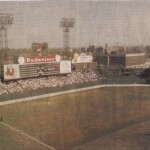 Members of the media also received an excellent view of the field from the press box on top of the stadium roof. The first night game under lights at Sportsman’s Park was on May 24, 1940. 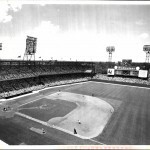 The Cardinals became the more successful team in St. Louis capturing six World Series titles between 1926 until 1946. 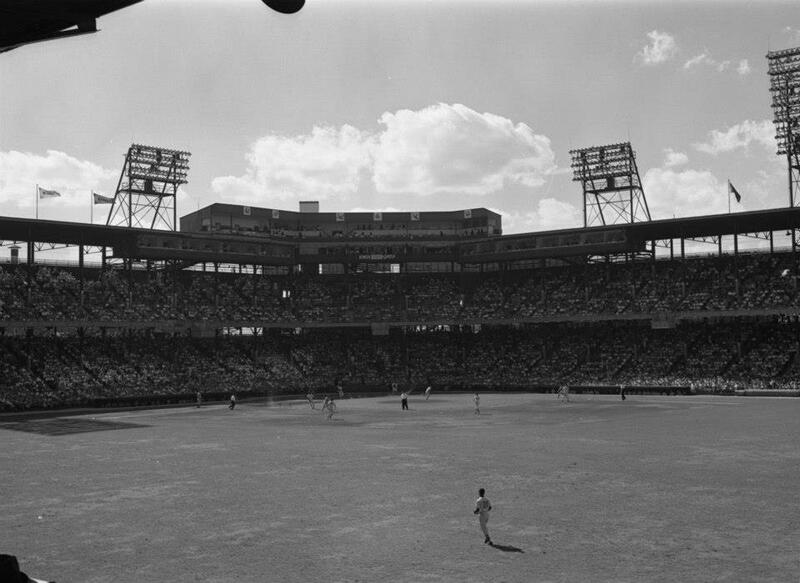 In the late 1940s and early 1950s in became apparent that St. Louis could not support two baseball franchises. 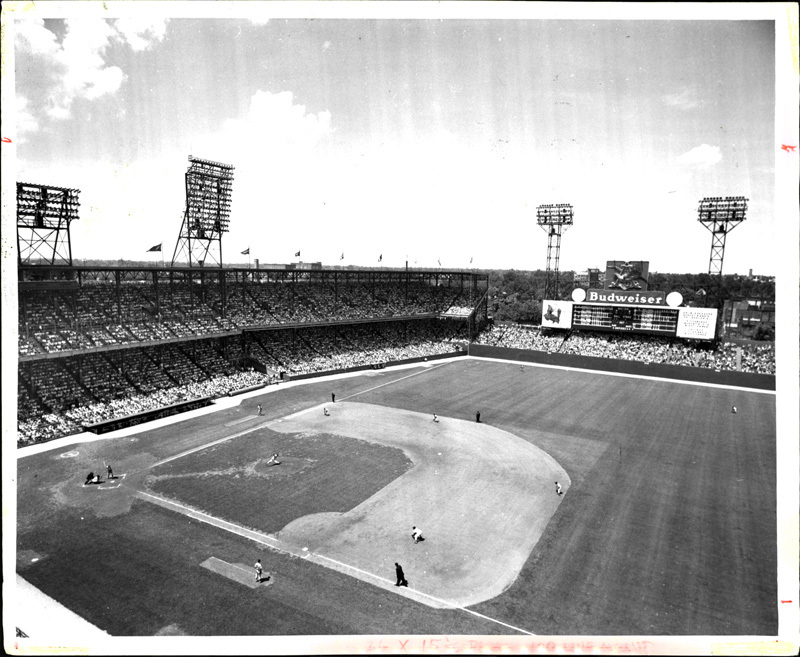 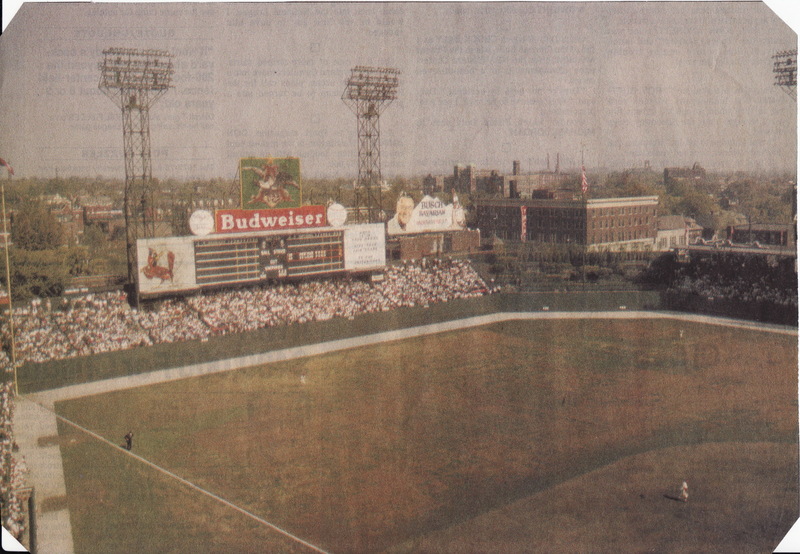 Sportsman’s Park was purchased by the Cardinals in April 1953 for $800,000 after owner of Anheuser-Busch, August Busch, purchased the team from Fred Saigh. 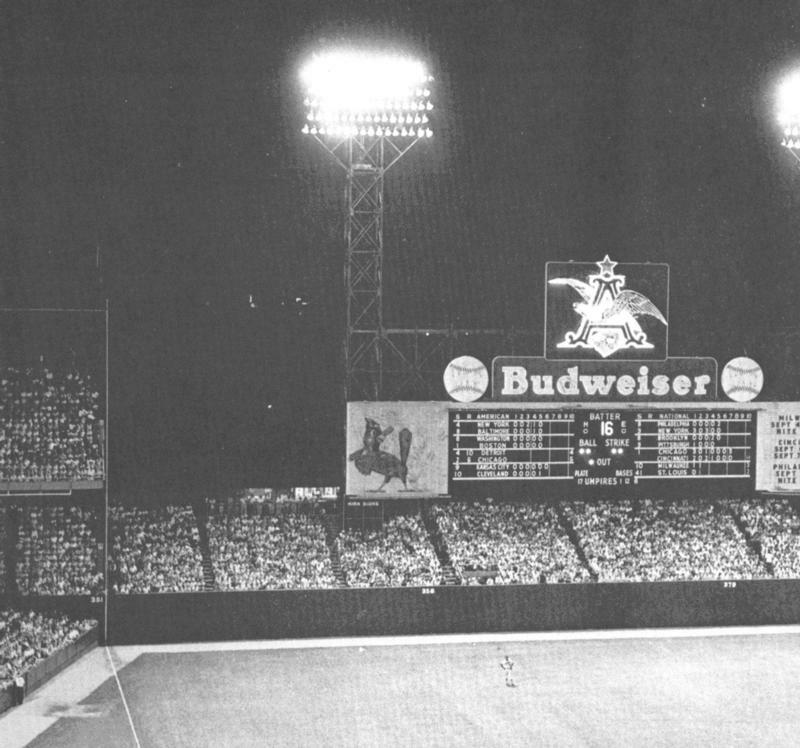 The ballpark was renamed Budweiser Stadium briefly before being named Busch Stadium. 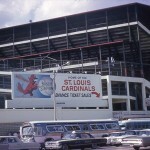 With strong ownership, the Cardinals were the dominant franchise in St. Louis leading the Browns to move to Baltimore after the 1953 season. 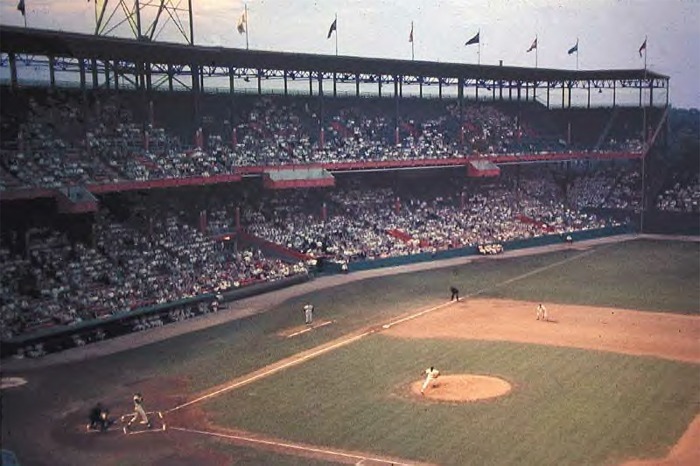 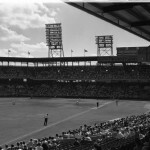 Throughout 1953 and 1954 the Cardinals spent $1.5 million renovating the ballpark. 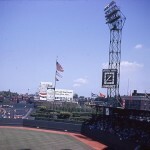 A new playing field was installed, new, wider seats replaced the existing ones, seating in centerfield was removed and replaced with shrubbery, new dugouts were installed and the clubhouses were updated. 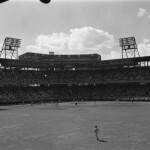 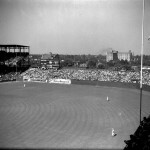 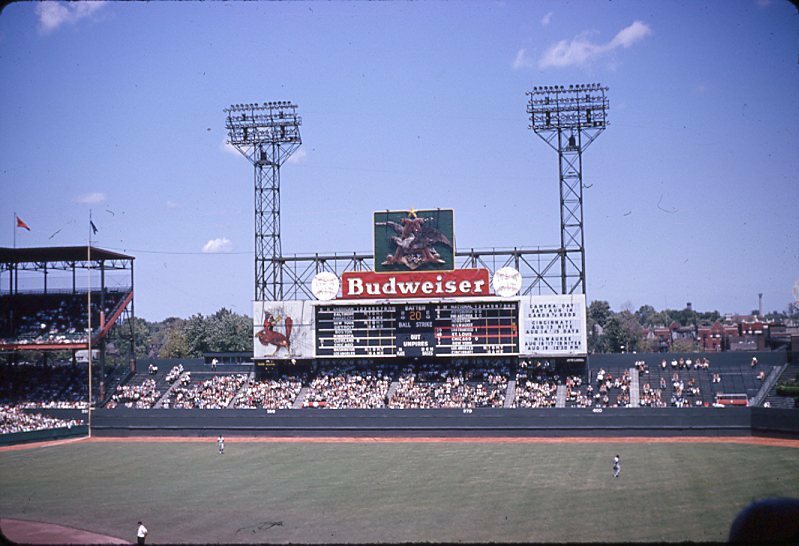 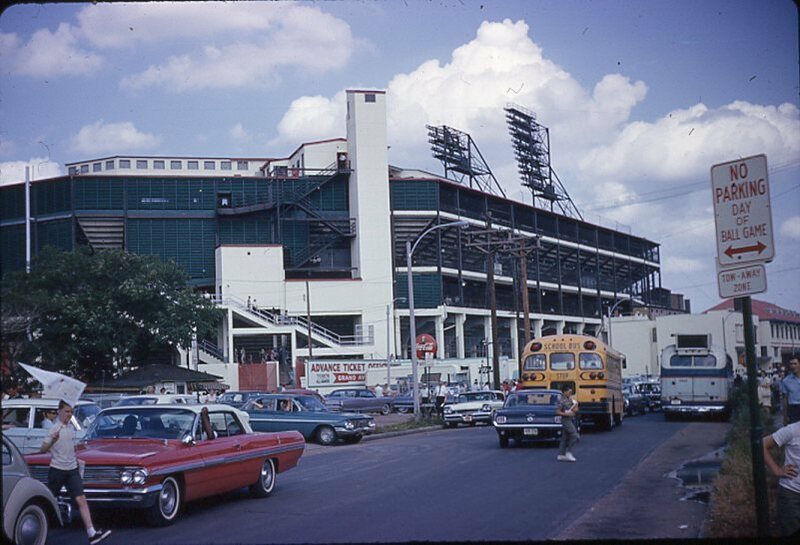 In addition, the ballpark was stripped of all advertising, except for a Budweiser ad on the scoreboard in right field. 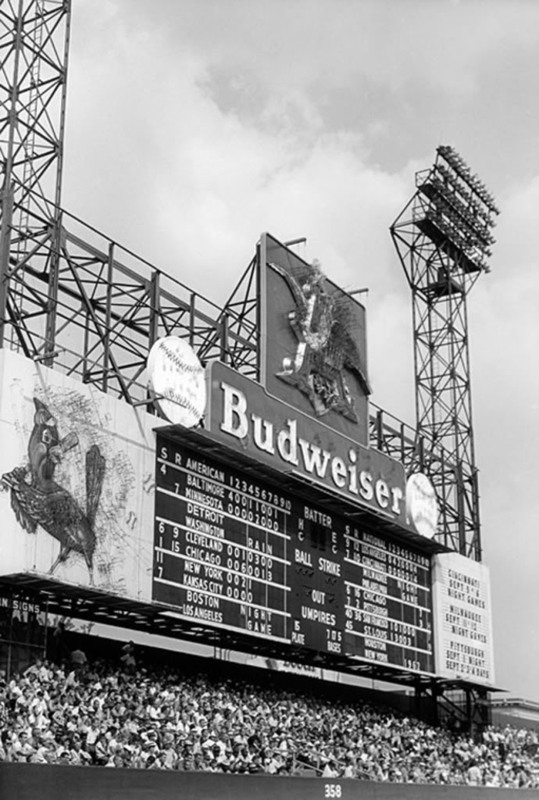 Atop this was the Anheuser-Busch symbol, a neon eagle, that flapped its wings anytime a homerun was hit. 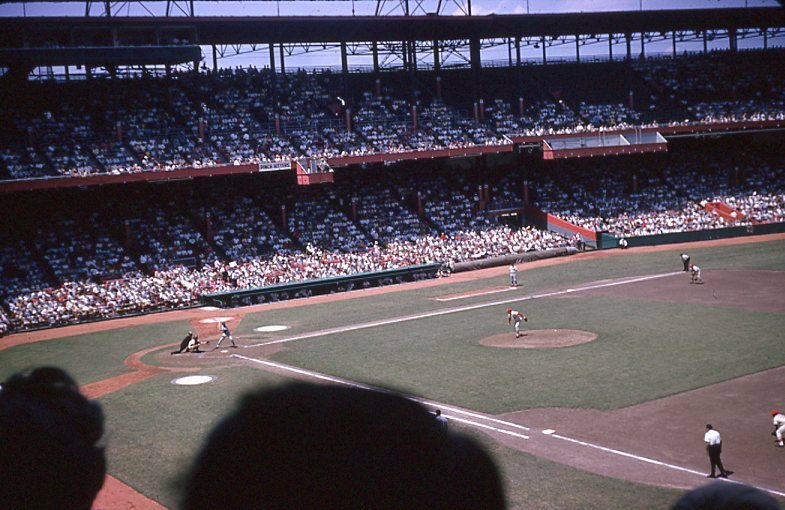 The Cardinals played at Busch Stadium until May 8, 1966 when the last game was played at the ballpark. 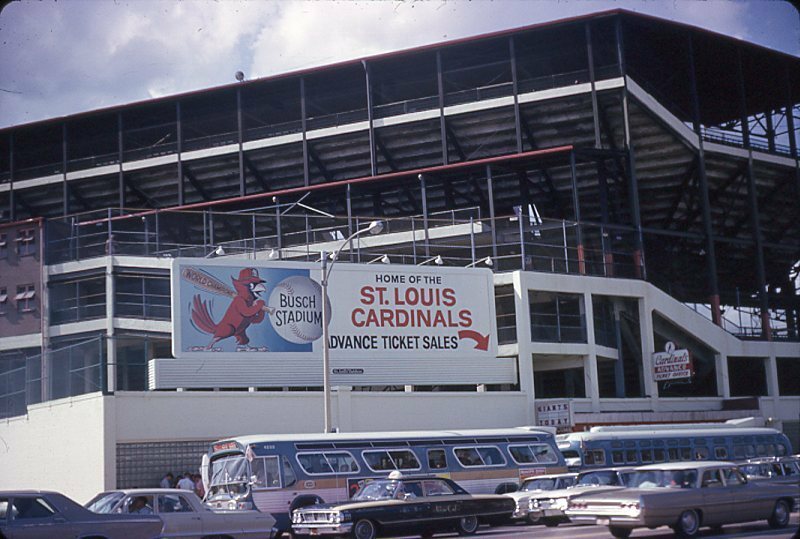 The Cardinals moved into new Busch Stadium in downtown St. Louis days later. 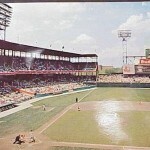 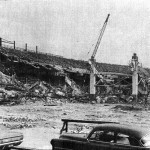 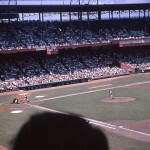 Sportsman’s Park/Busch Stadium was demolished soon after. 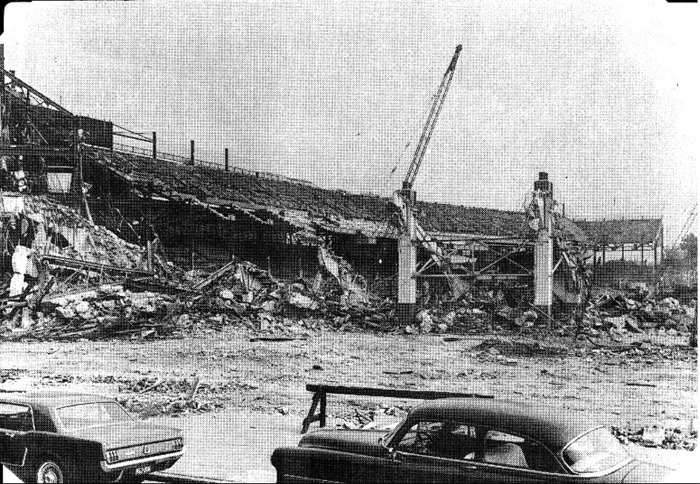 Today, it is site of the Herbert Hoover Boys’ Club. 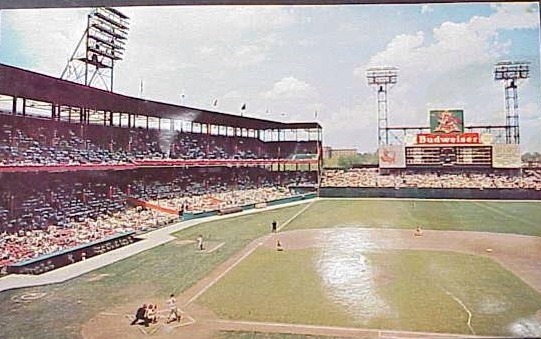 A baseball field is at the same location where the Cardinals and Browns once played. 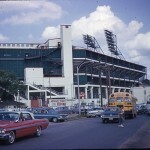 – Location: Along Sullivan Ave., North Spring Ave., Dodier St., North Grand Ave.